Tatsunoko Productions are responsible for a whole host of classic anime, and in the last decade or so have done a pretty good job at reviving them. First Neo Human Casshern was given a darker twist with Casshern Sins, then Science Ninja Team Gatchaman got all political with Gatchaman Crowds, and then finally Yatterman threw the spotlight on the bad guys with Yatterman Night. The latter series also marked the 40th anniversary of Tatsunoko’s Time Bokan franchise – which encompassed a number of their series with similar themes/format. 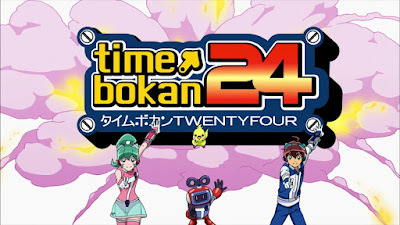 Now the studio have teamed up famed video game developers Level-5 for another new Time Bokan series, simply titled Time Bokan 24. Its mission: to seek out the history not written in the textbooks. 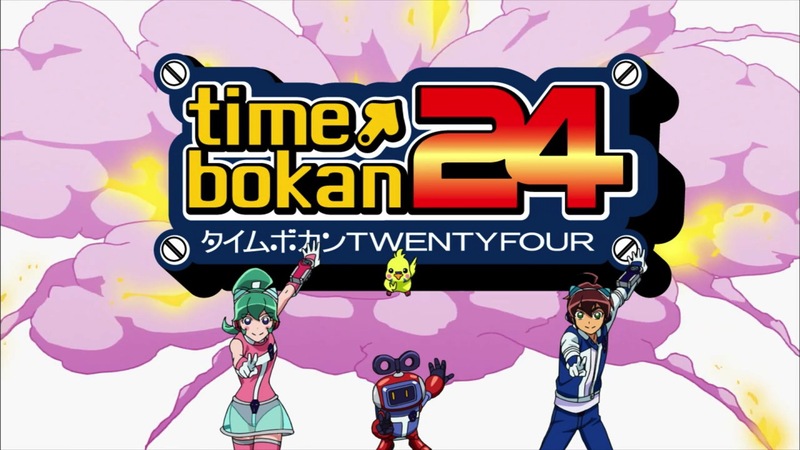 Junior high-school student Tokio is recruited into the 24th century’s Space-Time Administration Bureau, thanks to his ability to withstand the time-travelling phenomenon known as “Time Bokan”. 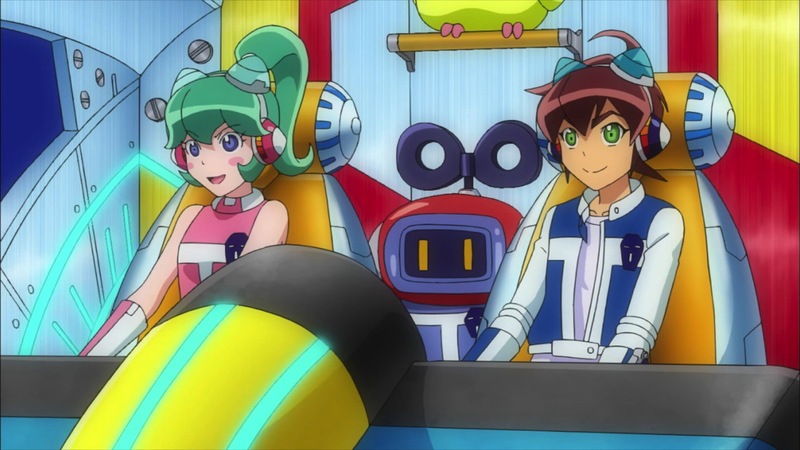 Together with his partner Calen, the talking bird Peralino and their robot companion Pikobo, they travel throughout time to prove the textbooks wrong and reveal the “True History”. On their tail are Bimajo, Tsubuyakky and Suzukky – aka the Akudarma Trio, employees of textbook publishers History Paradise who want to make sure history is kept as they like it. 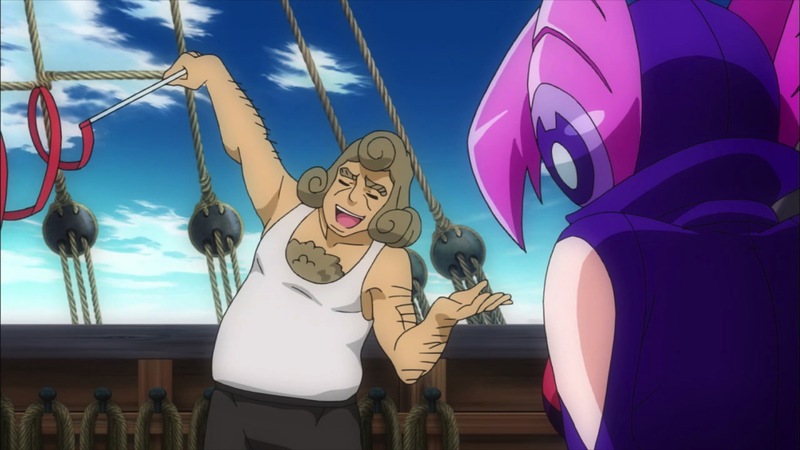 The basis of Time Bokan 24 is a simple one – you take a random person from history and/or mythology and come up with the most ridiculous scenario possible. So have you ever wondered what it would be like if Cleopatra was actually a Manzai comedy duo? How about if Columbus had discovered gymnastics rather than America? Then Time Bokan 24 is the series for you! Each episode feels like an attempt to one-up the last in terms of sheer craziness, and as such it isn’t hard to get wrapped up in Time Bokan’s comical disregard for education and historical accuracy. The show is also wonderfully self-aware of its own absurdity, will plenty of in-jokes and fourth wall breaking to add that extra comic touch. That said, not every idea the writers come up with is a good one – the show’s 24-episode run contains several less inspired entries which fall flat fairly quickly. Sadly these episodic antics come at the cost of Time Bokan 24 having any sort of ongoing storyline, even if the show tries to act like it does from time to time. Calen’s mysteriously missing boyfriend is repeatedly brought up at the end of each episode, but never is there any active searching for him. The final episode teases some answers to this incredibly vague plotline (even if the twist could be seen a mile off), but that also ends up leaving it as barely a footnote on the series as a whole. The most continuity Time Bokan 24 shows is actually in episode 22, which cleverly comes off the back of events that happened previously in episode nine. 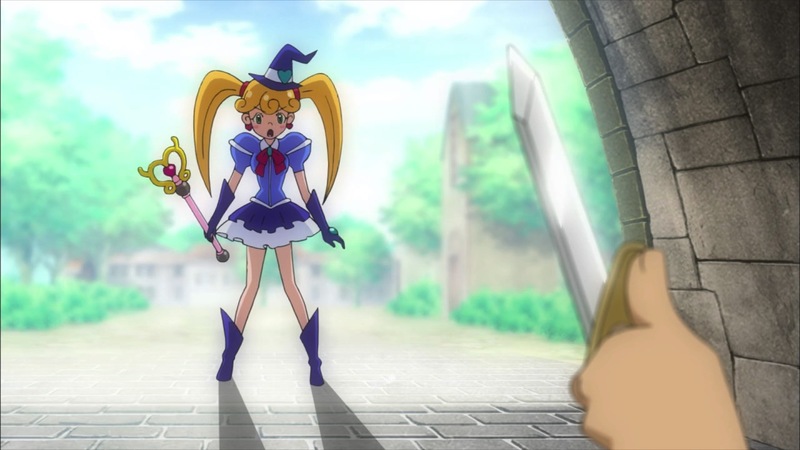 This is about the only clever use of time travel the show has, and while it feels unfair to harshly judge a children’s show for keeping things simple the fact it does this the once really makes you wish the show had strived for more throughout. Unfortunately the lack of story development means character development is equally stunted. There’s very little to say about either Tokio or Calen, who fill the generic teenage protagonist roles nicely but have very little distinct personality to dissect. Calen likes cosplay and has boyfriend issues, and Tokio is a bit of a dork sometimes – that about neatly covers it. The Akudarma Trio are similarly one-dimensional, but far more likeable characters and a pleasure to watch onscreen. While newcomers to the franchise may be quick to write them off as “Team Rocket rip-offs”, it was Tatsunoko and the Time Bokan franchise the built that kind of villain dynamic in the first place. The Akudarma don’t do anything to break that mould nor are they likely to ever be a popular example of it, but they reflect the timeless quality of it nevertheless. 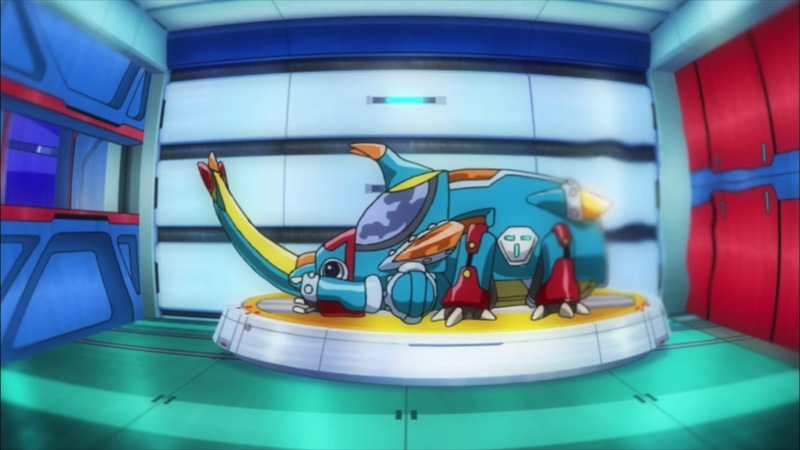 Of course as a kids’ show Time Bokan 24 has a far more important mission to fulfil than simply perverting the course of history – selling toys! 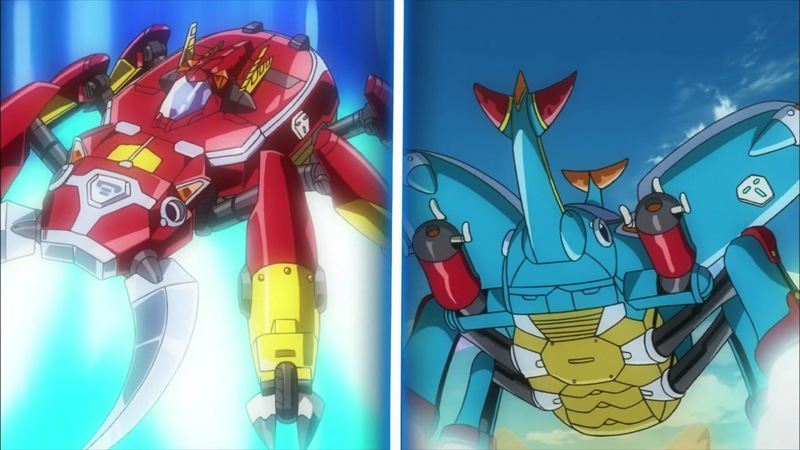 From the Bokan Brace to the show’s weird and wonderful array of mecha, Time Bokan 24 isn’t short of merchandise to shamelessly shill on a weekly basis. 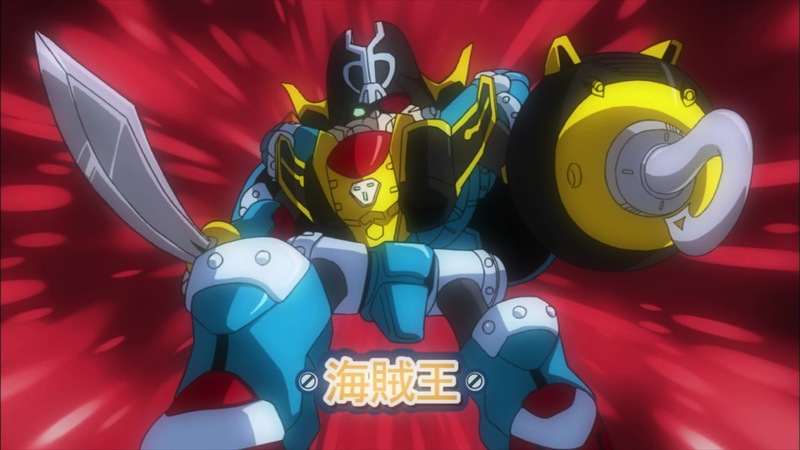 These are usually shown off at the end of each episode, which in the typical Super Sentai format consists of a giant robot battle between the Space-Time Administration Bureau and the Akudarma Trio. After Mechbuton is overwhelmed by whatever robot the bad guys have called upon, our heroes will then call upon one of the show’s 24 support mecha – which can then combine with Mechabuton into a more powerful (and often wonderfully silly) form. Halfway through our heroes even receive Kuwagattan as a temporary upgrade while Mechabuton is out of commission, with the two also able to combine into a much stronger form. Fairly standard stuff for Japanese combining robots really. Generally the show does a pretty good job of flogging its wares, establishing it early on as part of the format rather than drawing obvious attention to it each time a new toy makes its debut. The fact it features a new support mecha each week also helps matters, keeping the focus on the range as a whole rather than homing in on one or two specific items. The Bokan Brace advertising is a little more blatant since it uses the same stock footage every time, but it’s no more blatant than any other toy-driven show you might come across. The cartoony mecha are adorable, with each humanoid form/combination sporting wonderfully proportions you can’t help but love. Time Bokan 24 is a simple show with simple goals. The general premise behind the show is ingenious, but in general the comedy is fairly uneven resulting in episodes that range from brilliant to just plain boring. However its failure to deliver on its one ongoing storyline is its biggest shortcoming, and in doing so leaves Time Bokan 24 as a purely episodic affair with very little substance outside of that. But then as long as you get a few laughs and maybe a handful of toys out of it, then the show has probably done its job. Spot on review! Personally, my favorite episode was near the end, about the Apollo 11 moon landing directed by Kubrick.